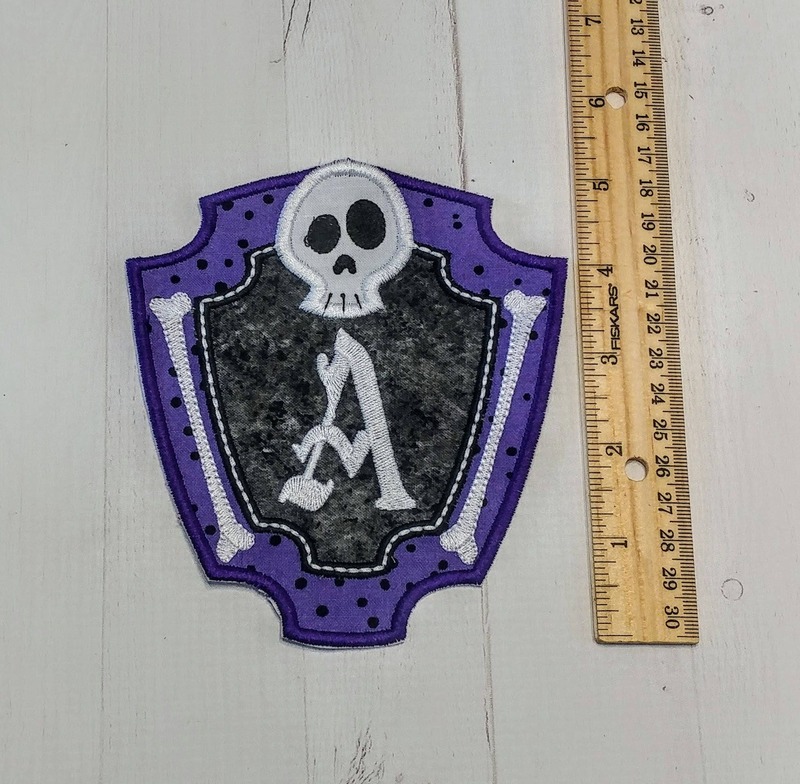 Spooky Halloween letters with a Tomb stone bone frame. 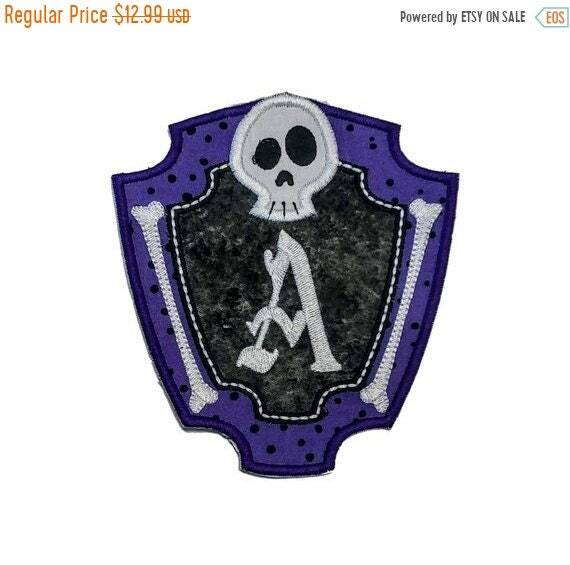 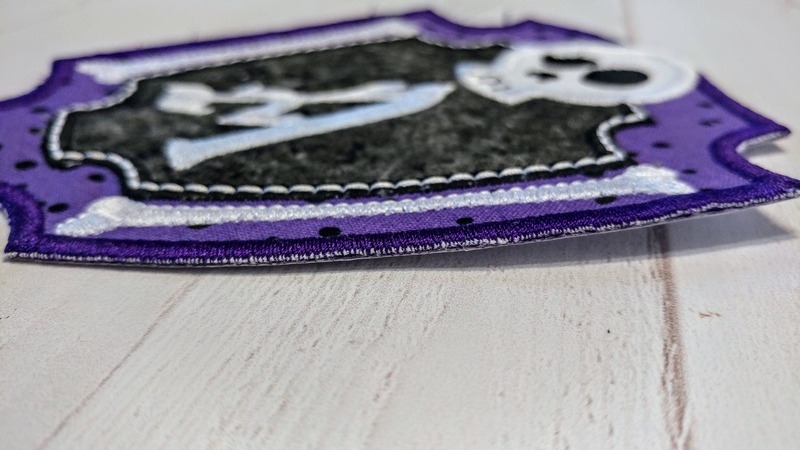 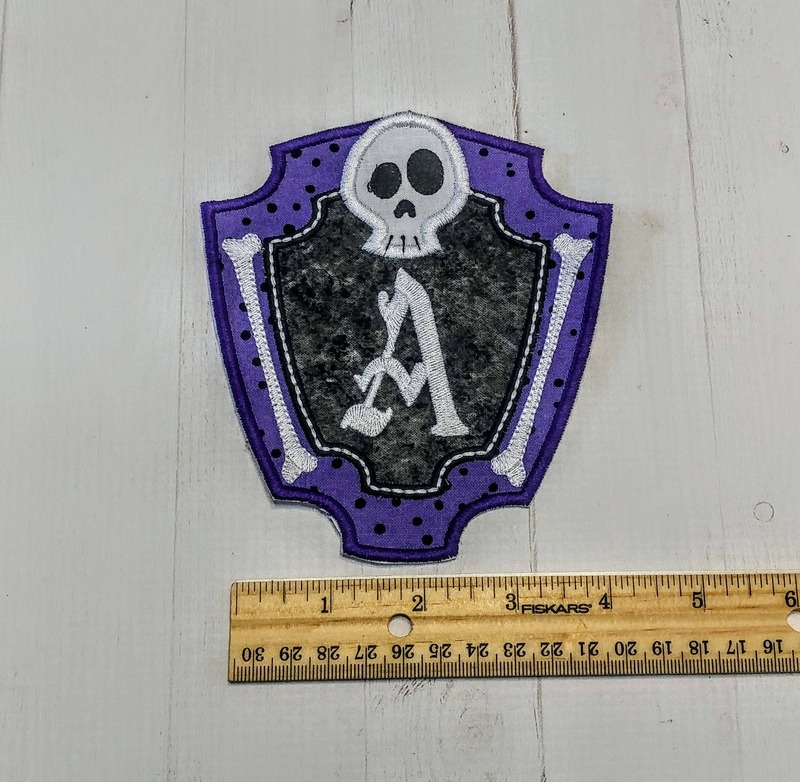 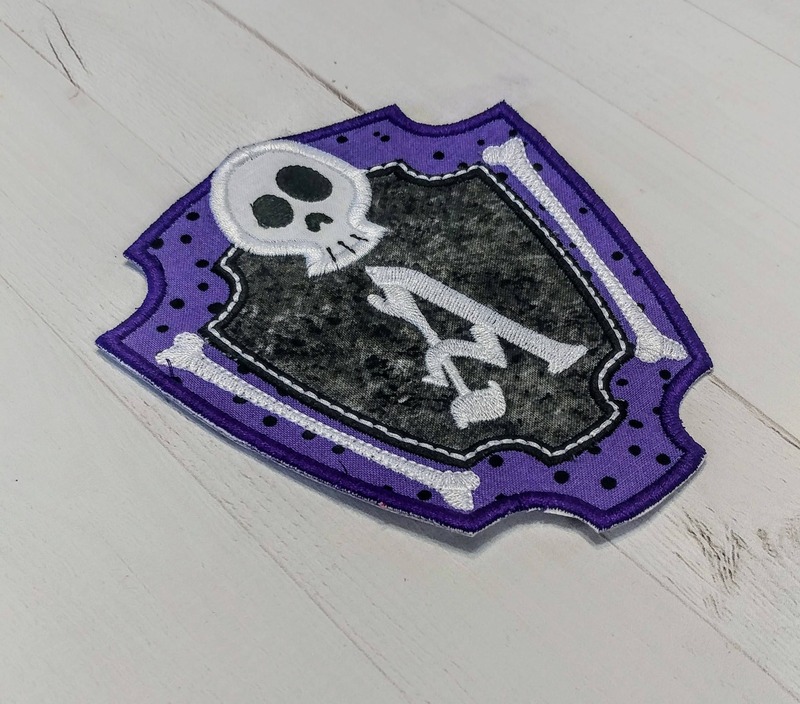 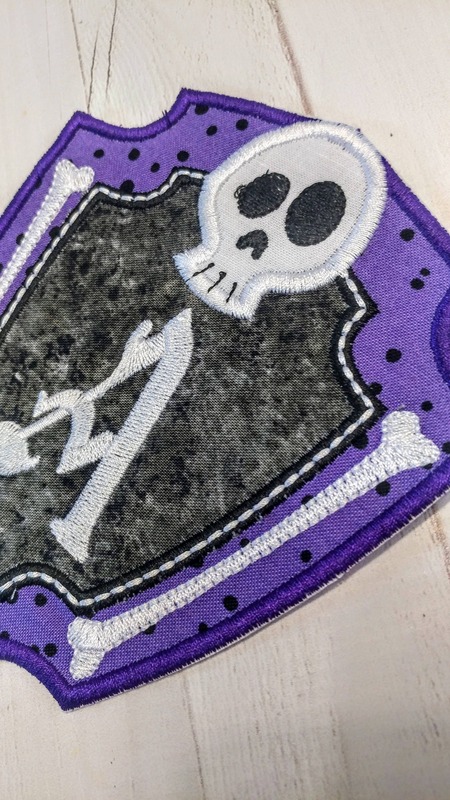 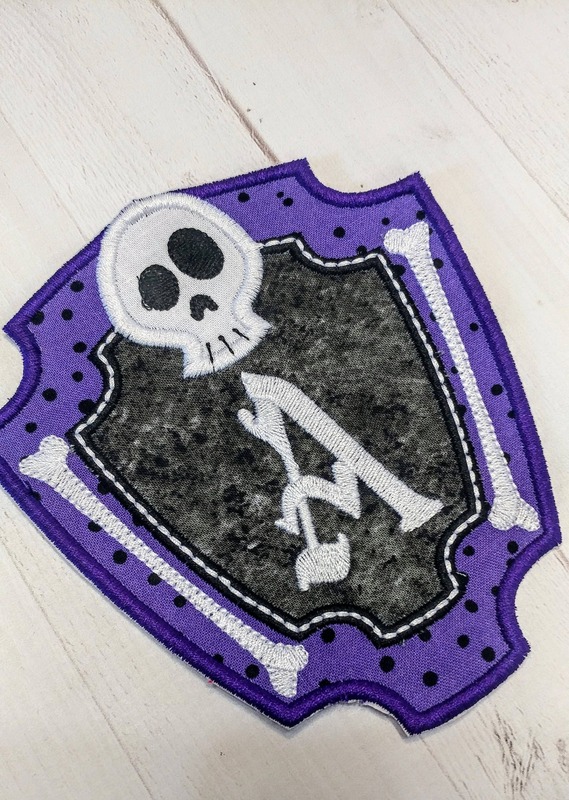 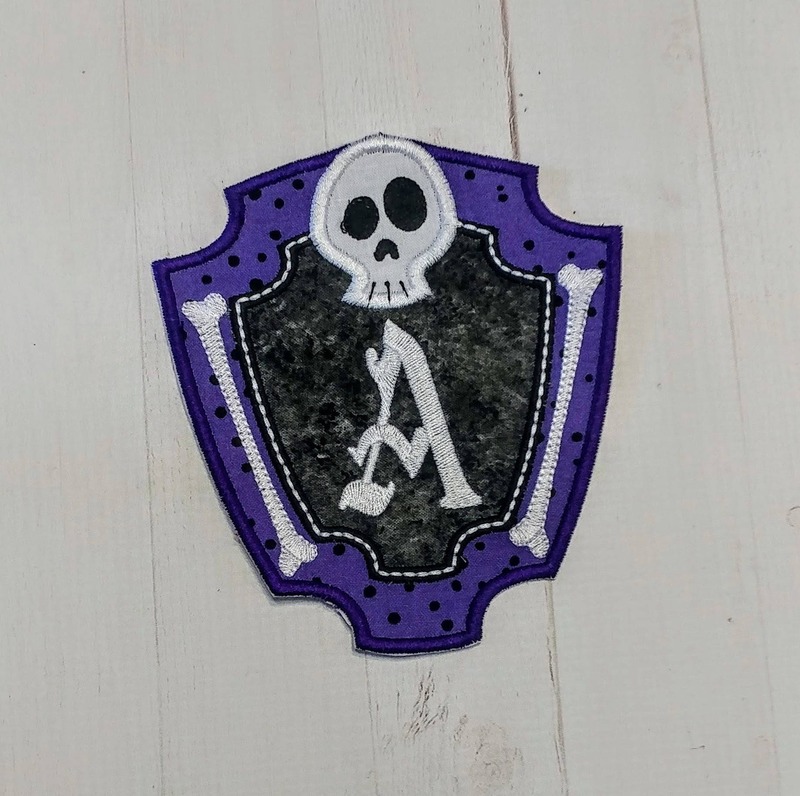 This patch is done in a purple and black. 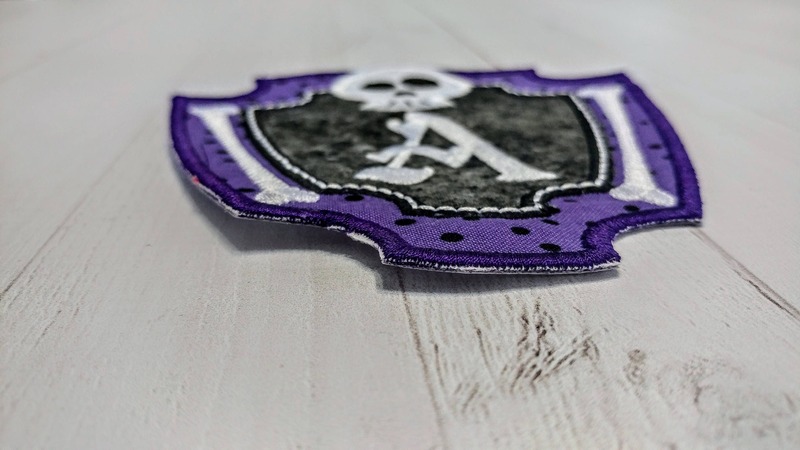 Letters A-Z available.